We already learned how to draw a simple lines in JOGL. By changing the coordinates of such line, we can also write alphabetical words. 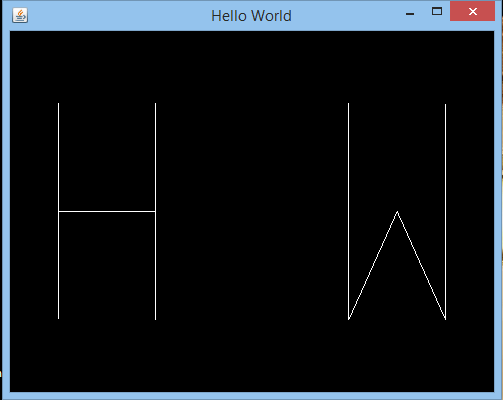 In this example, we will draw first character of Hello World (i.e. H W).